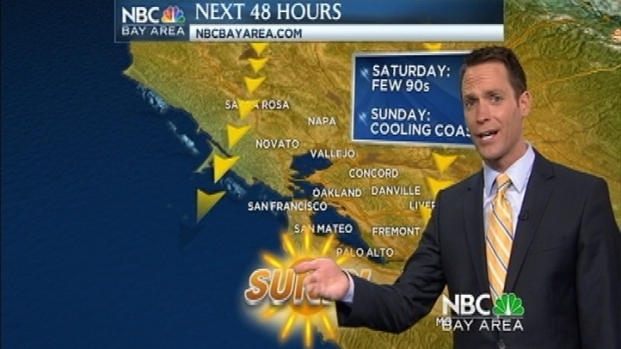 Temperatures hit near-record highs in the Bay Area on Friday, and Saturday will be even hotter. For the first time this year park workers at Oakland's Lake Temescal pulled out the swimming ropes as temperatures hit near-record highs Friday. Some women couldn't pass up the chance to get in some spring sunbathing. Sunbather Candi Marinez said she felt blessed that she didn't have to work on such a nice day. "Amazing," Martinez said. "I can't believe just a week ago we were having like lightning and thunderstorms and tornado watch and I just love the Bay Area for keeping me on my toes all the time." 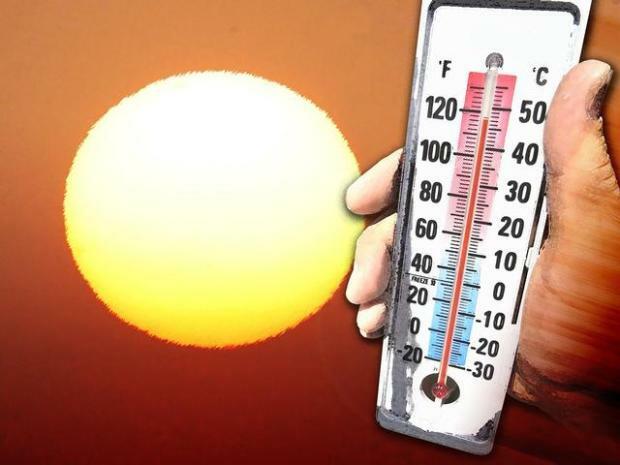 Hottest weather all year long will arrive just in time for the Weekend. Details on who could hit 90° & what the warm weather will mean at the beaches in my full forecast. Nayomi Munaweera said she didn't plan on going outside Friday. "I had a writer's group, but canceled everything and was like 'okay we have to be outside,'" Munaweera said. Kids also took advantage of the summer-like weather to get some splashing in. A quick moving region of high pressure proved strong enough to produce 90° heat Friday. Details on who was the hottest. Plus, a quick look at the allergy forecast set to spike Saturday. "It's really cold and good," 3-year-old beach-goer Julian Menz said. In Walnut Creek the temperatures hit the mid 80s, sending women rushing to the nail salon to get their toes ready for the sudden onset of sandal season. "I've been wearing boots, Uggs, rainboots, all kind of boots," Jacara Rayon said. "And now I'm ready for the sandals and to show my toes." Saturday will be even hotter. The weather forecast shows it will reach 90 degrees.